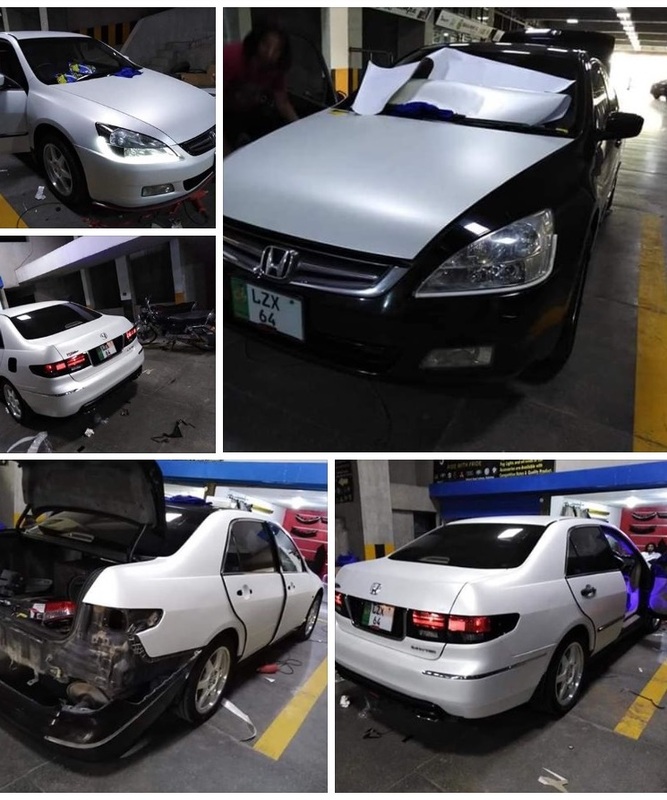 In recent years car wrapping in Pakistan become very famous because it can perfect for Pakistan environment, scratches on the outer body of the car is just normal, almost every car in Pakistan especially in big cities have many normal incidents of scratches from motorcycles, rickshaws and many other unverified vehicles. People frustrated from these small scratches it can devalue the car. All these above reasons attract car owners towards car wrapping which can not only make your car more stylish and attractive but to protect from body paint scratches. This material can stretch to any shape and fit on the car corners easily by perfect precision, it can live up to more than five years. Not so flexible as compared to vinyl wrapping, can bend it out but stretches back to original position, but best for flat surfaces, in addition, this material is cheaper than cast vinyl wrapping. What is vinyl made up of? Vinyl is a synthetic plastic consist of polyvinyl chloride or a related polymer widely used for wallpapers, advertisement, car wrapping and so on. 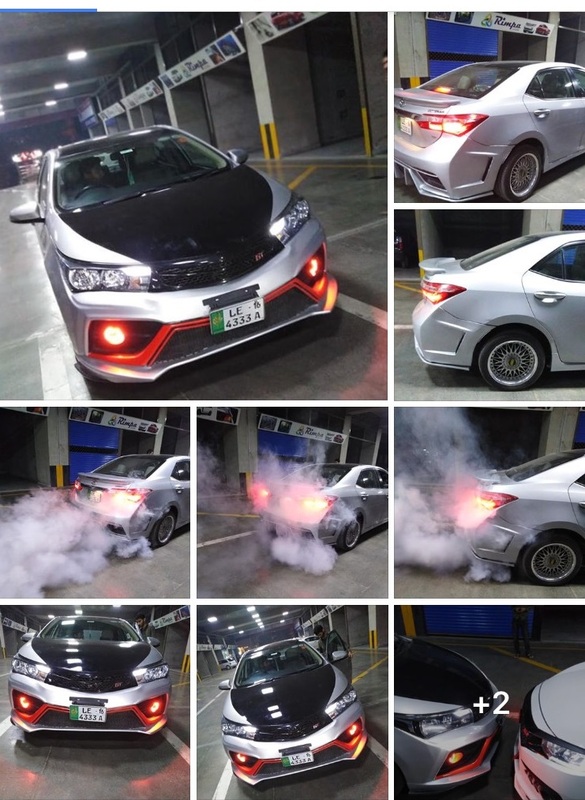 Cast vinyl wrapping is widely used for cars as it mentioned above about the material can be fit as car shape without getting back to their original position. If someone wants his car to shine and glow it can be done from vinyl wrapping, it can glow for almost for a long period of time. In vinyl, matte finish is available with a full body or half body so the choice is yours. Anyone wants a multicolor car with particular design and writing, it can be done on the car. Transparent vinyl is also available for those who just want to protect the car from original paint from scratches without compromising their genuine color visibility, transparent vinyl almost invisible and hardly be visible to anyone. People do like carbon fiber wrapping on gearbox panel, dashboard panel and bumpers some people do like on the roof. Car wrap price varies from vehicle to vehicle with the quality of the vinyl wrap including the person or company performs wrapping on the car. Prices of the wraps may fluctuate but below these are the estimated prices. Some dealers and wrapping experts have more charges than other due to their expertise, not anyone can wrap your car easily so be avoid to do it from unknown or less expert person. 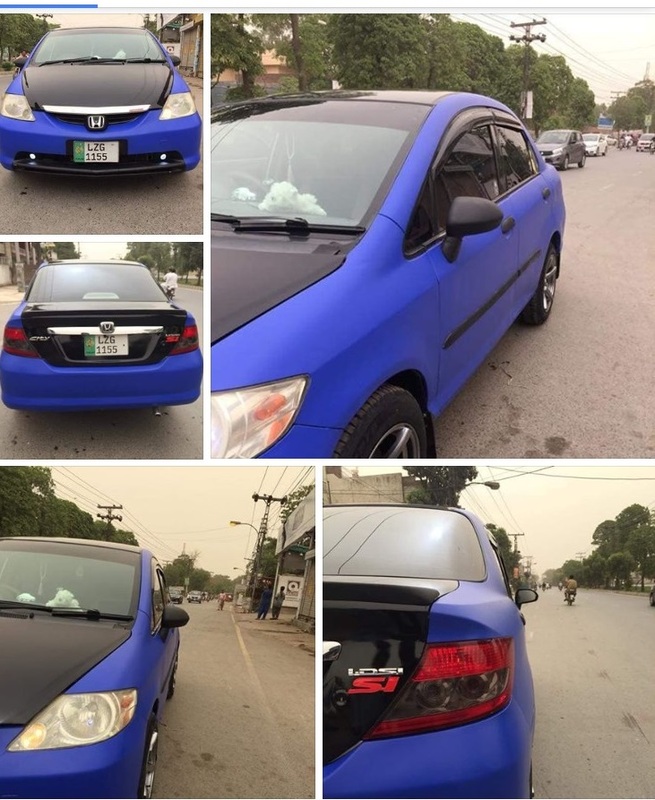 Custom wraps Pakistan famous for wrapping cars with 3m colors they have multi colors with having an expertise of a professional, if anyone in (Lahore and Karachi) wants to do a car wrapping, I would advise to contact them without any hesitation. 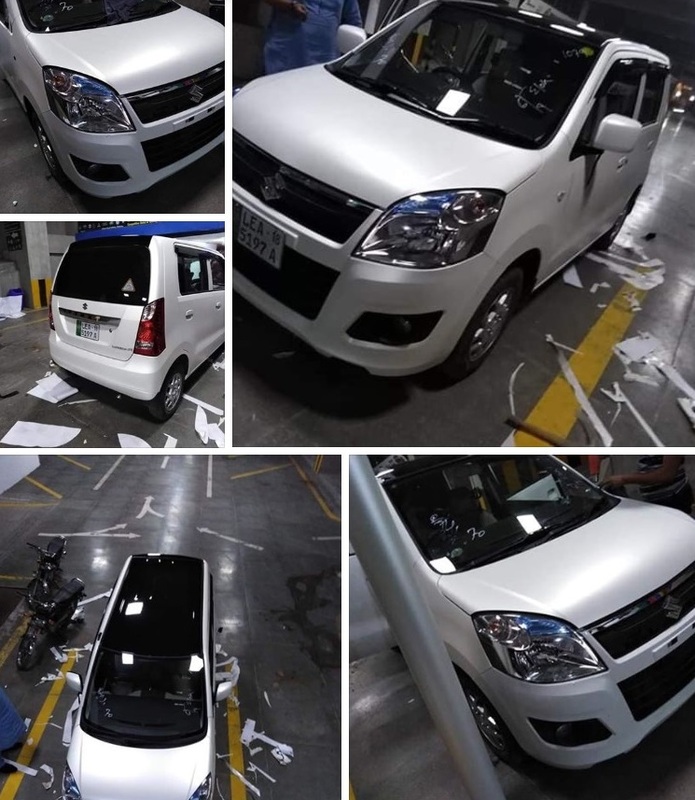 Oracle is another vinyl wraps equivalent to 3m quality and reliability, Seghalmotors.pk offering a reasonable price of all wraps, however, if you go for locally made wraps that would be a bad decision, it can damage the original car paint including not live up to more than 3 months or so. They have the best colors with best quality material available so far in the car wrapping in Pakistan. To make it more easier for the audience here is a one of a few contacts where you can ask for car wrapping quality and cost. How to remove car wrapping vinyl from the car? If the vehicle has been wrapped with a high-quality car wrap vinyl then the removal process is very easy. All is needed is a heat source, prefer to be a heat gun, need some experience and a lot of patience. High-quality films made by Oracle and 3M are designed to leave no adhesive residue when removed.